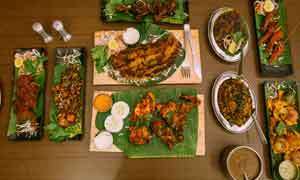 Nearly four years ago, Sri Lanka opened its first authentic health food restaurant chain in Colombo. The brainchild of Duaine Peiris, ‘Calorie Counter’ is Sri Lanka’s first restaurant offering guests a healthier lifestyle by stating the calorie count of every meal you order. Today, the restaurant chain has expanded both locally and internationally with 3 outlets in Sri Lanka located in city hubs like Colombo 7, Havelock Town and Galle Fort and 2 abroad in Kuwait and Maldives. Recently, the Calorie Counter outlet at Havelock Town underwent a transformation and we were given a chance to take a sneak peek into their revamped menu and location. Here’s what we thought! From Thimbirigasyaya to Havelock Place, the new location is considerably smaller than its previous home but much homelier. Glass windows, natural lighting and intimate spaces gives the restaurant a lively ambience. Though it’s a small space it can comfortably seat around 20 guests and we loved that they had a ‘no wifi – talk to each other’ sign hung up! The drinks menu includes a variety of juices, smoothies and teas – each option with its own calorie breakdown. We opted for their Hydrate Me (Rs. 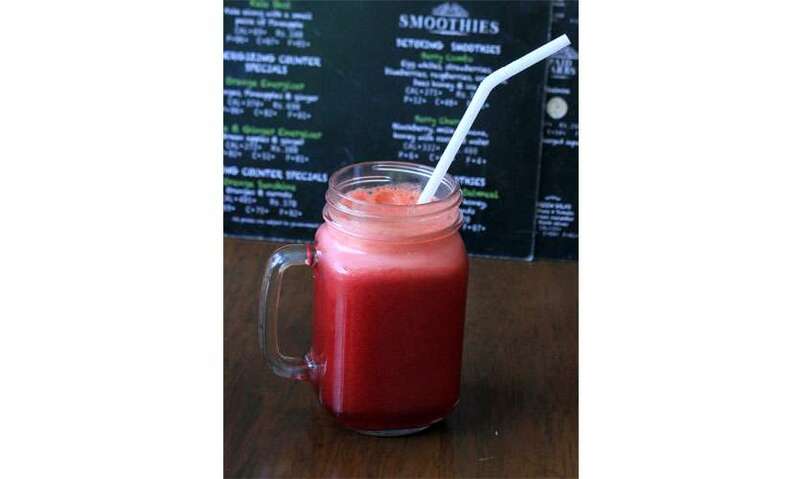 550) with a calorie count of 238 which is one of the lesser calorie drinks in the menu. The Hydrate Me is a refreshing blend of watermelon, red apple, raspberry and cucumber and it really is a thirst quencher. 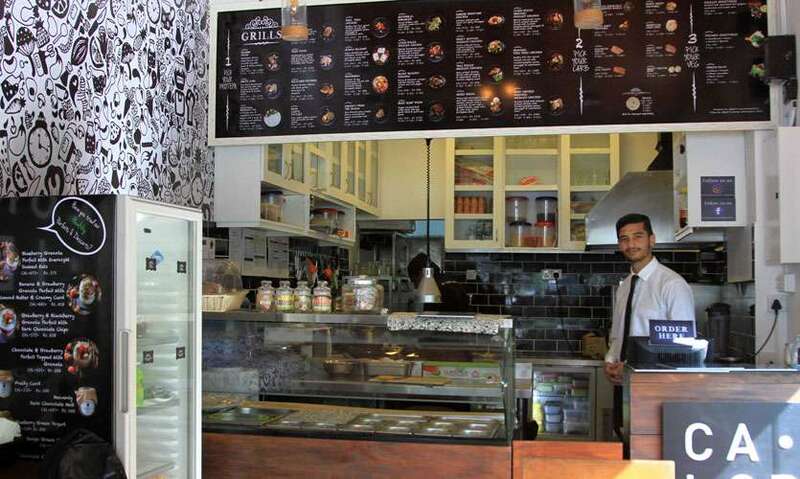 The food menu at Calorie Counter gives guests limitless choices from sandwiches to wraps to grilled meats and salads. All the meals are butter free and use a limited amount of extra virgin olive oil. It’s also sugar free as they tend to use natural sweeteners like honey as a healthier alternative. 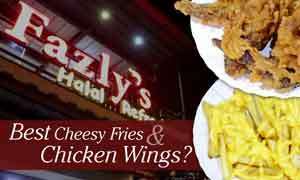 We opted to try their grilled meats and ordered their Honey Mustard Grilled Chicken (Rs. 850) which came highly recommended with a calorie count of 383. The presentation of the dish was stunning but the flavours were what made the dish stand out. Generously slathered in honey mustard and infused with garlic, the chicken was grilled perfectly and the sweet flavours of the honey mustard contrasted beautifully with freshness of the watermelon and pineapple salsa on top. We chose baby potatoes as our carb (75 calories) and a green salad (33 calories) as our vegetables. Their Cajun Spiced Organic Grilled Chicken (Rs. 1650) was equally delicious with a calorie count of 338. Marinated in a special homemade Cajun spice, this grilled chicken is served with a roasted pumpkin puree and a side of watermelon and pineapple salsa. The homemade Cajun spice really added flavour to the chicken and the smooth texture of the pumpkin puree completed the dish. 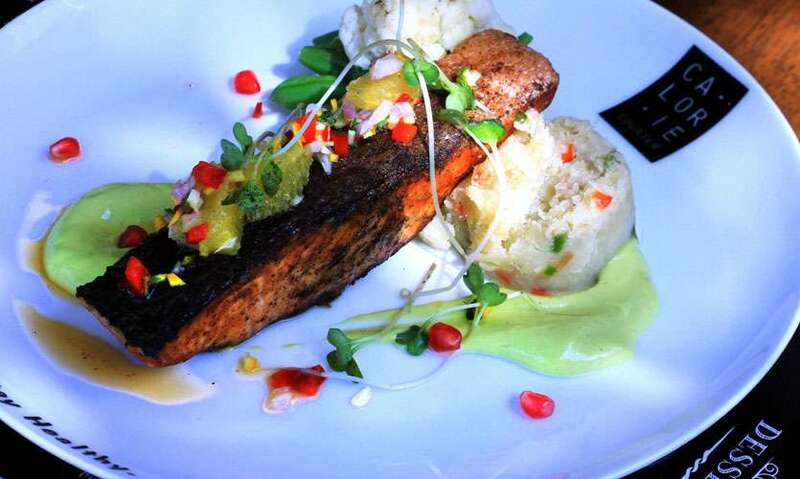 Another recommendation from their menu is their Salmon Steak (Rs. 2100) with a calorie count of 381. The dish is on the pricier side but it's justified by the quality of their salmon. This dish uses Norwegian fresh salmon with an avocado soy milk puree as its base and a citrus orange compote on top. This dish is so well balanced in terms of flavour and they’ve managed to set a perfectly crisp crackling skin on top. If you are feeling fancy and you love your fish (or even if you don’t) – we’d recommend you try this out at least once! All in all, we love the concept of Calorie Counter. As we get more and more conscious about the food we eat, the calories we gain and our health, restaurants like Calorie Counter which are committed towards encouraging a healthier lifestyle among their guests are a welcome staple in Colombo’s food scene. 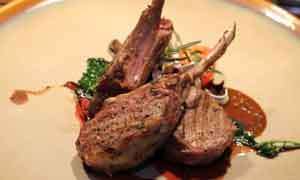 We loved the quality of the food they gave us and the presentation made our dishes even more appetizing. If you’ve been wanting to eat healthier and live a cleaner lifestyle but don’t know where to start – Calorie Counter is a pretty great starting point! 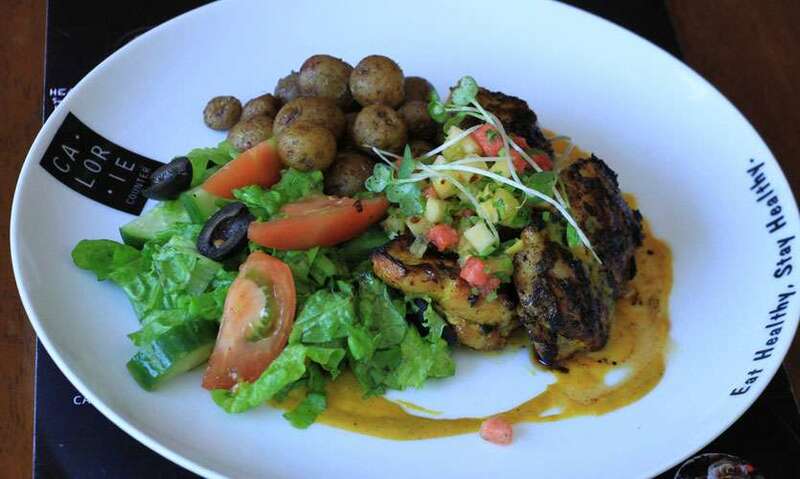 What we Recommend – The Salmon Steak and the Honey Mustard Grilled Chicken! Tips – Feeling like desert after your meal? Don’t ruin your clean eating with sugary dessert. Grab one of their oatmeal cookies to go – it’s healthy but also sweet! Parking Facilities – Can park on the road. No 07, Havelock Place, Colombo 07, Sri Lanka.